Sometimes, just sometimes, it all comes together, and the day is perfect. Today was that day. Everyone was smiling as we got ready to roll, because the skies were bright and clear, the wind yet to blow, and the morning sun sparkly on the waters of Tauranga port. We rode straight to the coast, past the straddle carriers, the container ships, the industrial complexes and, finally, the remarkable lava dome, Mount Muanganui, which has stood as a silent sentinel to these parts for the last 3 million years. 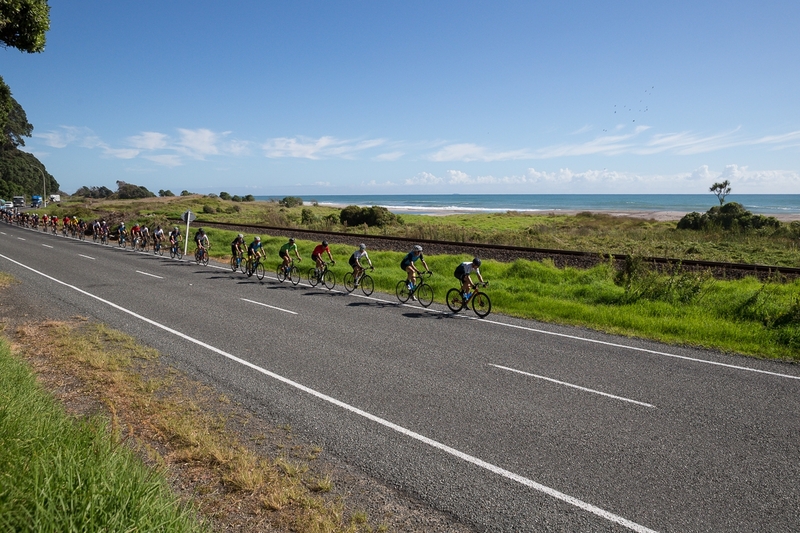 As we made our way along the foreshore of Papamoa Beach the vibe in the peloton was one of palpable joy and excitement at the prospect of exploring another 150+ kms of magnificent North Island roads and scenery, but this time without the block headwind and driving rain. I've mentioned before the riotous variations of green which make up the local landscape. It sometimes feels like you're riding through a cartoon strip, the colours are so intense. Te Puke, self-claimed home of the kiwifruit, is a wonderful example. So, too, Paengaroa and Pongakawa, home to a multitude of avocado farms. Imagine a strip of grainy bitumen which winds its way through a virtual maze of conifer hedges, variegated in colour, sometimes more than 15m high, behind which crops of kiwis, then tented canopies of avocado trees, laden with fruit, stretch as far as the eye can see. The road dips and rises constantly, cutting into valleys and over small bridges. The bunch was tight and chatty, lapping up the warm conditions. Soon we were back on the coast, heading south past Pikowai, the Pacific glistening to our left, and to our right, fragile honeycomb cliffs topped with extravagant stands of tall and twisted trees, waving in the coastal breeze, as though imagined by Dr Suess. 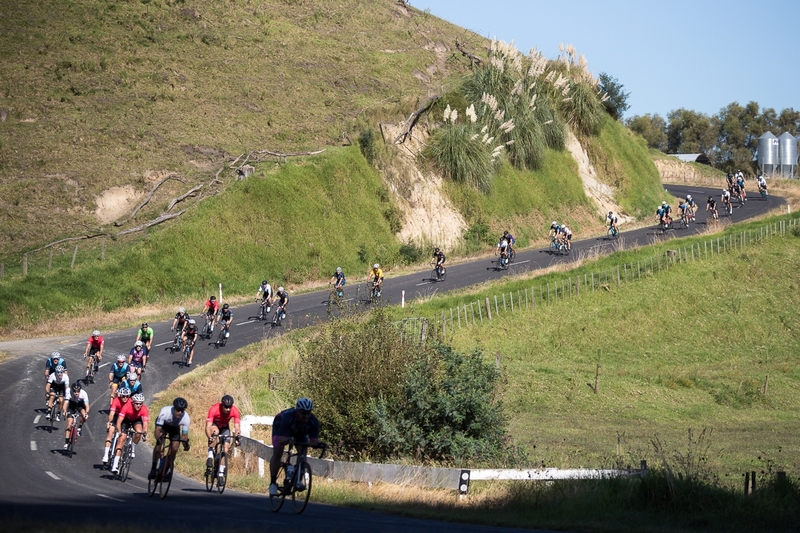 After a quick drink stop at Matata we set off, up the steep incline to the Rotorua plateau. The fast ones raced, the slower ones tapped it up. The first 6 or 7 kms were tough, a slow procession away from the coast, through gullies and glades and past symmetrical conical hills, like you'd draw in kindergarten, until we broke into the plateau and enjoyed another 15 kms or so of magical riding, over the ever-rising rollers, alternately bordered by lush farms and even lusher rainforest, before a twisting, turning plunge down the hill to the shores of Lake Rotoma, our lunch stop. You read about "crystal waters" in storybooks. This is the real thing. We had covered over 100kms by now. I think everyone agreed it was the pick of the riding so far this week. “Can the superlatives get any grandiose after the wonderful scenery Northern New Zealand has turned on for us ? Well, absolutely YES. We were now 300 metres above sea level, but water, in the form of pristine, crystal blue lakes on our right and towering rainforest tree ferns or lush farmland on our left. 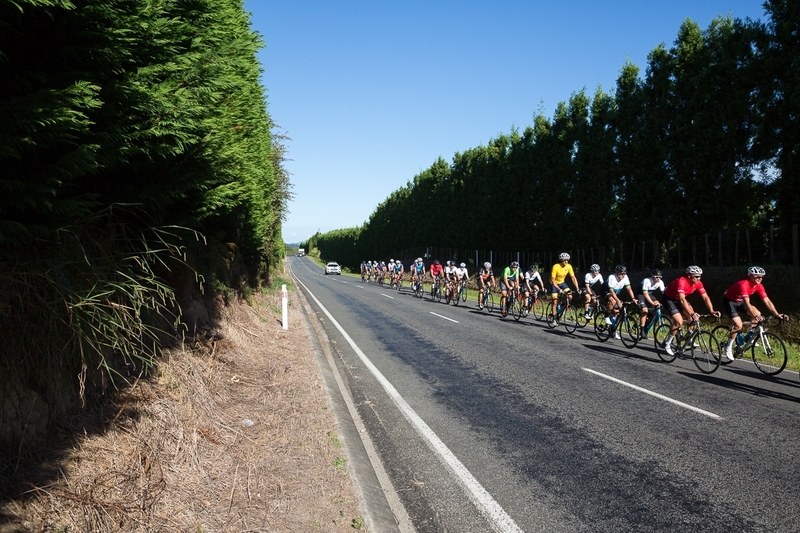 It would be great if we all had eyes in the back and sides of our heads to take it all in, (whilst of course keeping a close eye on the peloton’s movements and the traffic on the busy road to Rotorua). 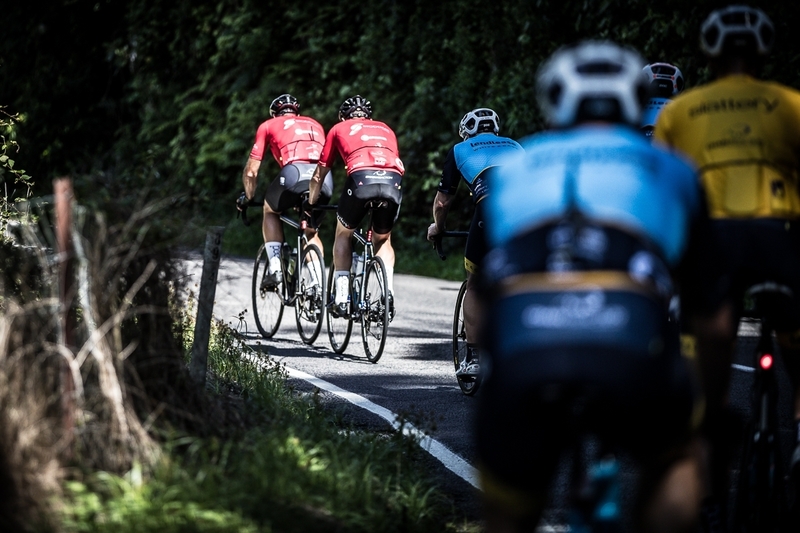 Uneventful is actually a word we hope to hear from our intrepid on-road Ride Director, Tim Chadd, and today was one of those days when the peloton settled early into its task, and managed to roll through the day “in sync”. 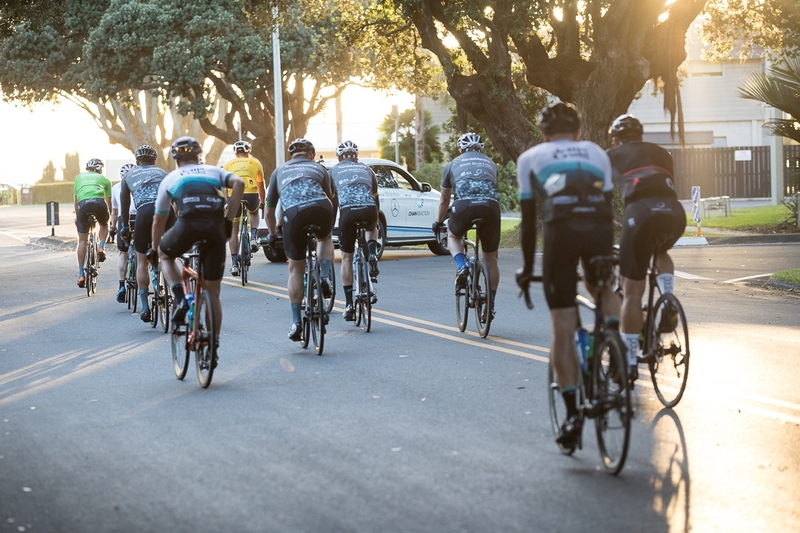 We have learned to ride as a homogenous unit, and just as we have worked as teams to raise over $1,070,000 and climbing, we are now a team on the road. As we approached Rotorua, after one more short sharp climb, we expanded our eyeballs to take in Lake Rotorua, and expanded our nostrils to take in the sulphur smell of the geysers and mud pools which apparently surround the town. We rolled into our Inn for the night delighted to have a day of riding when the weather was NOT the main talking point. A delightful slight breeze and a constant 20-24 degrees meant the extremes of the past 2 days were behind us. 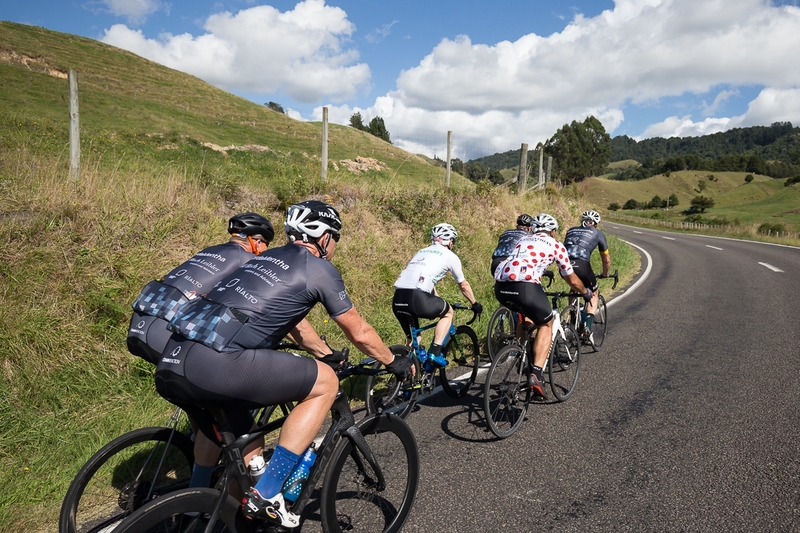 With legs now having completed 5 days of solid activity, we can look confidently towards reaching our ultimate destination of Lake Taupo in 2 days, and a final fundraising of well in excess of our $1,000,000 target. Over the last few days, due to the wet and bleak conditions, the competition jerseys have been smothered in vests and raincoats. Not so today. Three of the five jerseys were worn by the KordaMentha/ABL team: newbies Andy Hopkins and Mario Papaleo in white and polka dots, respectively, and our resident V12 Ferrari, Charlie Gardiner, in the green. Another newbie, Mark Staples from the Jellis Craig team, wore the black jersey, remarkable in itself, given his bone-crunching crash only three months before the event. Clearly, nothing was going to keep Mark from this year's ride! Lastly, it was impossible to miss today's yellow jersey, Rob Maroney from the Lend Lease/White & Case team. 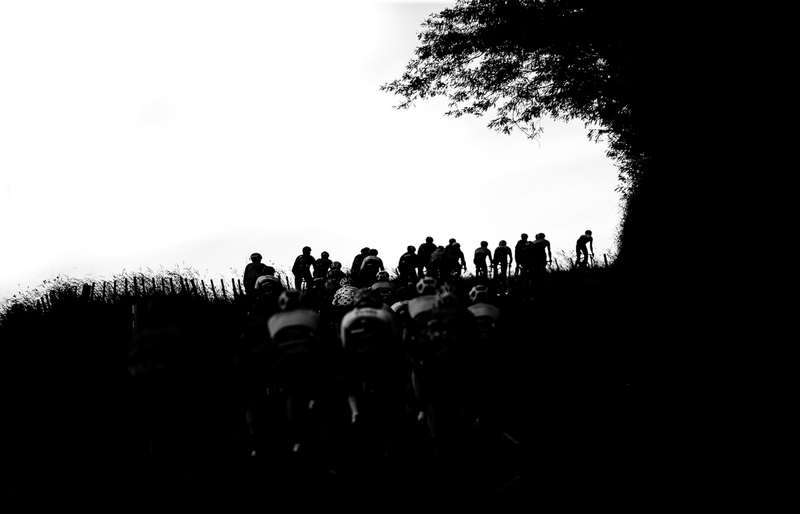 At 198cm, or 6 foot 6 in the old lingo, Rob rides high in the peloton. He's also raised almost $40,000 for Chain Reaction in his first ride. Chapeau! On the fundraising front, mention must be made of the newest team in Chain Reaction, from Henley Properties. 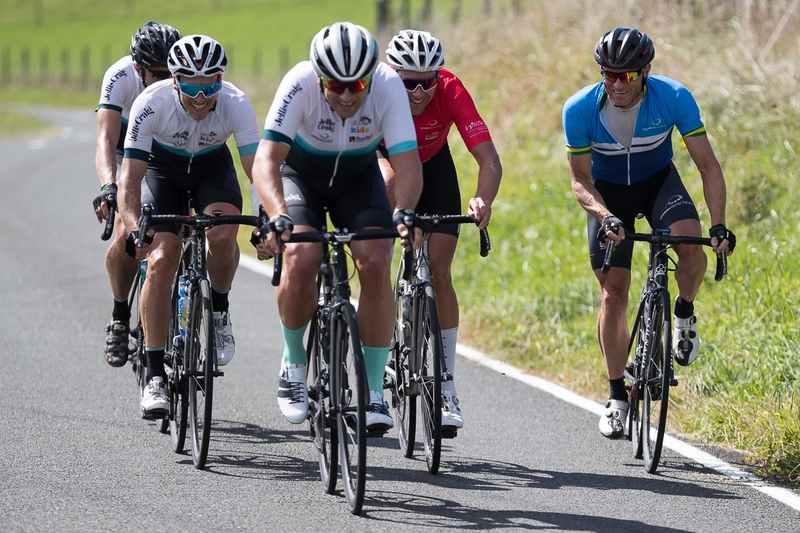 Led by Ben Griffiths, Henley have excelled in their first Chain Reaction, raising hundreds of thousands of dollars and showing their quality on the road. They presented at dinner last night. I hope it's the first presentation from Henley of many in years to come. Tomorrow we head to Taupo. With two days' riding to go, we've passed the 600 km mark. Let's hope our last two days are as glorious as today was!